If you need to cut back your spending or just looking to get the most from your grocery shopping budget, it is possible to save money and still have plenty of food for your family. 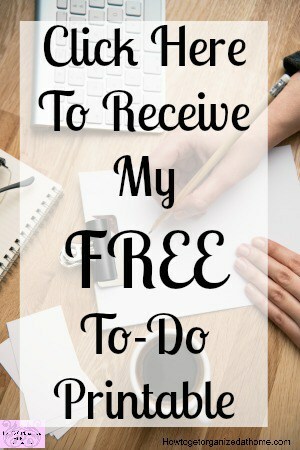 If you’re prepared to put in a minimal amount of work into planning and implementing some great tips, you don’t have to spend a fortune or wonder how you will feed your family the last week of every month. It is possible to feed your family a healthy diet on a tight budget, you don’t have to resort to the cheap unhealthy processed food that is not good for the health of you or your family, but give them a great balanced diet at a reasonable price. I live in the UK and there is not a big coupon option here, so don’t worry about thinking I will make you cut loads of coupons because it is not the way that I shop. It is so important that you set your budget each month for your grocery shopping, it is often the place where you have to trim if you are short in other areas, so the grocery-shopping budget can vary each and every month. However, don’t be deterred; it is possible to manage to feed your family for the month if you equally divide the monthly amount between the number of weeks you have in the month, this is either 4 or 5. This will give you the same amount of money the first week as the last week and it means that you don’t overspend at the beginning of the month and leave you with nothing to spend at the end of the month. You then have a set amount of money with which you will need to shop for your family. You need to have some idea of the prices of products, this makes it easier to work out the items you can afford, the items that you just can’t afford and those you will have to skip. It is a good idea to have at least one or two meals a week that are meat free; these are great ways at reducing costs and it is great for your diet too. Planning is the key to every shopping trip that you take; you must know the items that you want and the items that you need. Start with the items that you need, you will identify these when you start creating meal plans, these give you the meals you are preparing and allows you to create the lists for the items you will need. The shops that you choose to shop in can make all the difference in the price that you pay. Some supermarkets are more expensive than others, I love Aldi, for me it is great value and great products too. 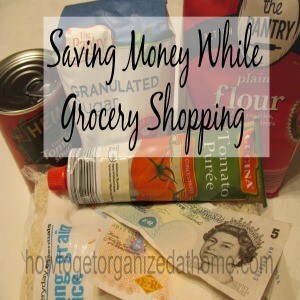 I have tried other supermarkets and buying the same food costs me about 10% more; so for me it makes sense in shopping in a supermarket that is saving me money. I know that some of the supermarkets are trying to tell you that they will price match, you can get points back or they give you a voucher off your next shop, but for me I want the reduction at the till now, not next week, so that is one reason that these deals don’t very often attract me. Buy the vegetables that are in season and use these to fill out your meals; reducing the amount of meat that you use per person will cut the costs of your meat. I buy the vegetables that are on special offer and no, I am not always great at using them up so I freeze what I can so it doesn’t go to waste. Reducing the frequency of your grocery shopping can work both ways, if you are looking to reduce your incidental spending then ensure you get all the items you need. However, if you shop too infrequently you can need too much and this could break your budget too. It is about finding the period that suits you and your family’s needs. Therefore, if you are looking to reduce your spending on grocery shopping you must know the prices and the best shops that offer the greatest deals. You need to divide your budget equally so you have the same amount at the beginning of the month as you do at the end. The final item you must do is to plan the food you intend to eat, so all that you need to buy is ready on your shopping list. I always forget to budget more for 5 week months. Thankfully, most of those months also mean an extra paycheck. But it always surprises me when I spend so much on food those month then I have “duh” moment. lol. Hi Julie, I tend to budget for the five weeks and have the extra money to spend when they are four weeks or save it!